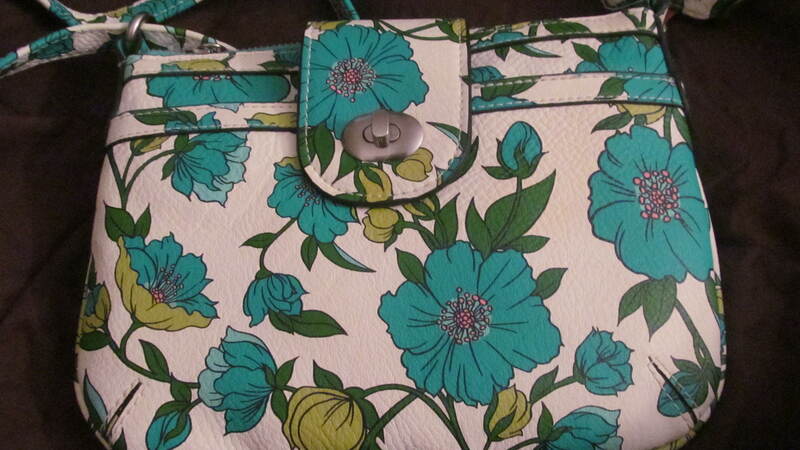 Today’s feature is an awesome piece for the girl who wants a bag that’s good for organization without being too bulky. 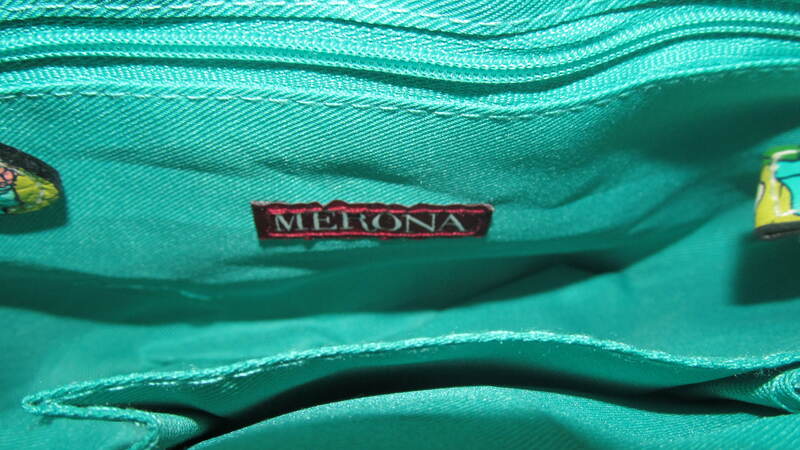 This purse is from the designer ‘Merona’ [which, as far as I know, is sold exclusively at Target], and I found it at one of the end of season clear out sales [score for me!!]. 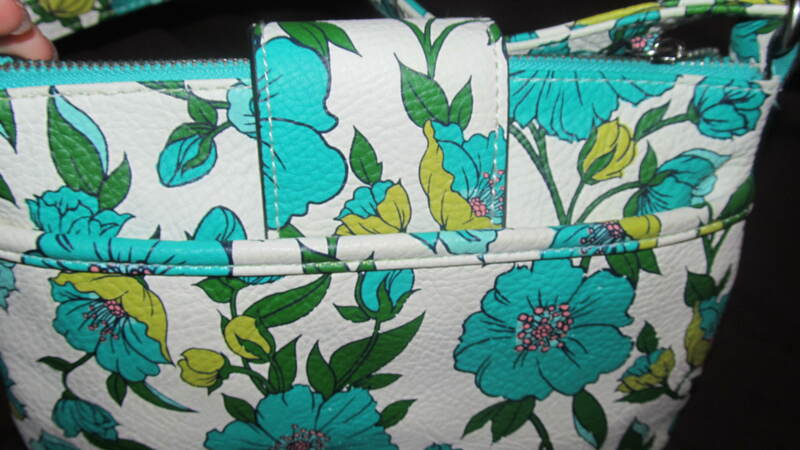 It has quite a few compartments for something this size, which can be great, or a slight damper, depending on how easily you misplace things. 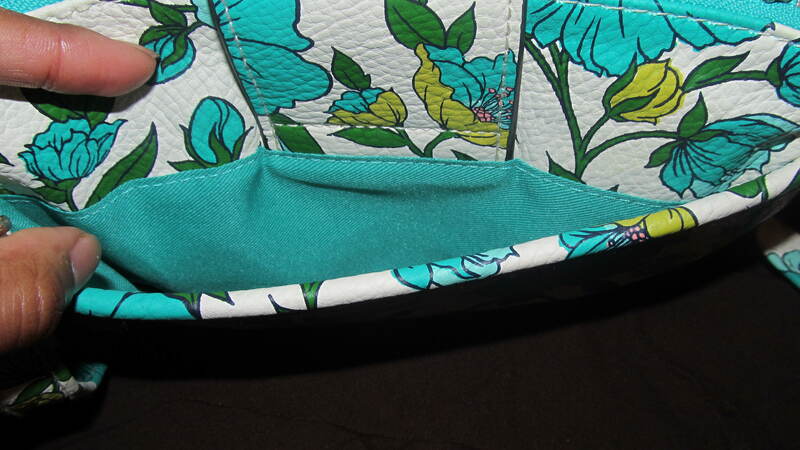 At first glance, you would notice that it has a main compartment, with a turquoise and silver exposed zipper closure, and that a flap with a twist closure encloses most of the other pockets. 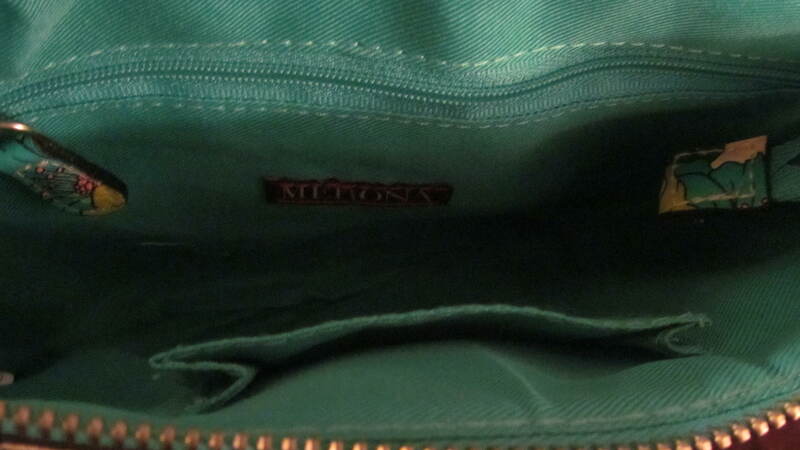 In the back of the bag, behind the flap, is a large, open yet flat pocket that runs the width of the bag. 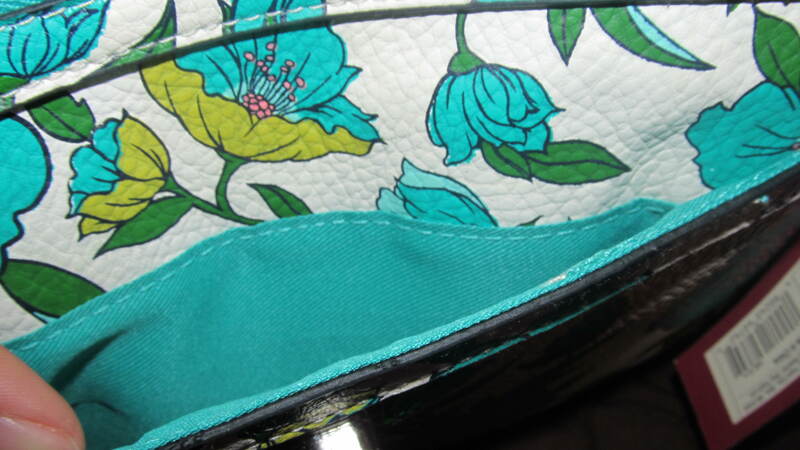 In the front, right under the flap closure, are two more open flat pockets in a tiered formation. 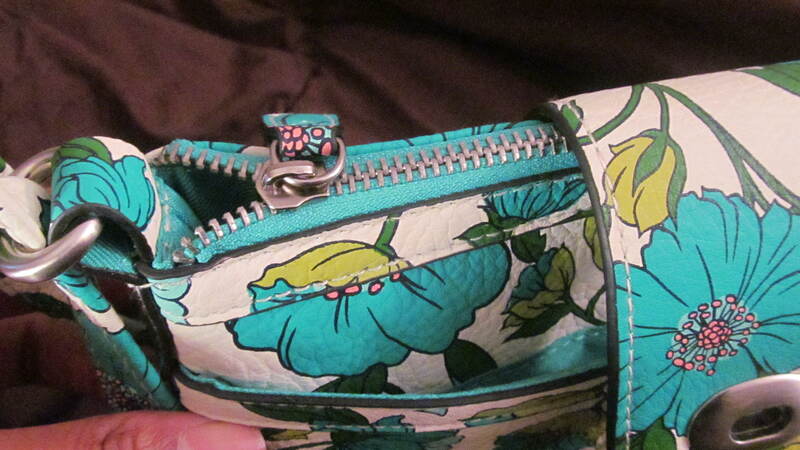 The interior is lined with a cotton fabric, and features a zipper pocket, and an open cell phone pocket. 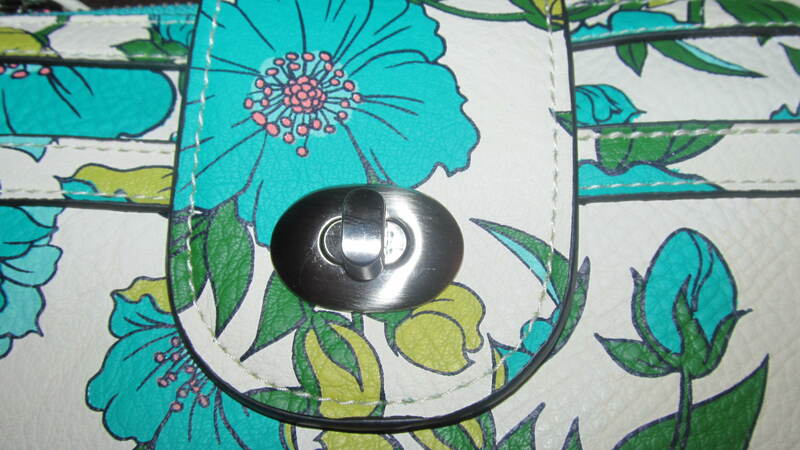 The twist closure for the bag, as well as the other hardware on this cross-body are all silver. 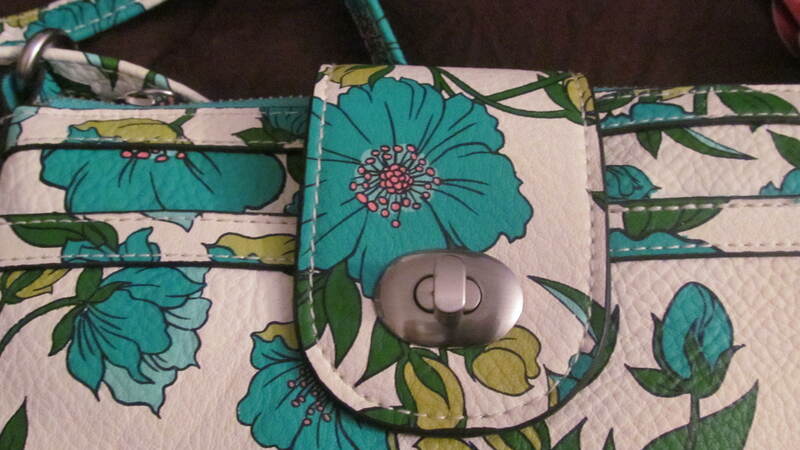 The fabric is a faux leather, with a beautful, very spring/summer floral pattern. 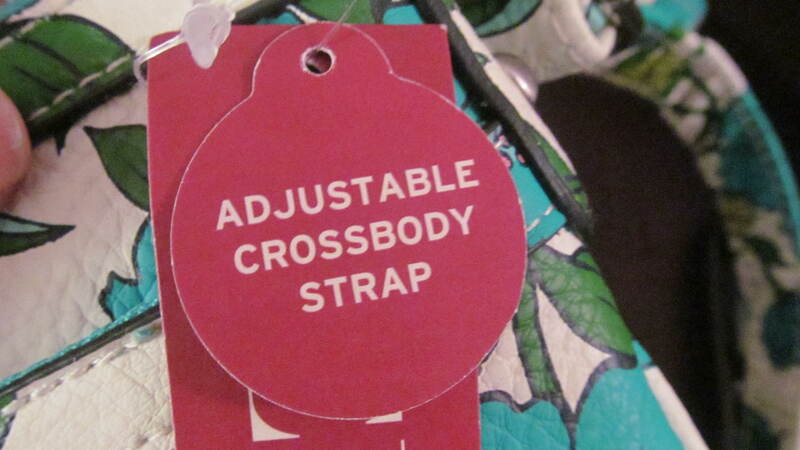 The adjustable cross-body strap is also in the same material. 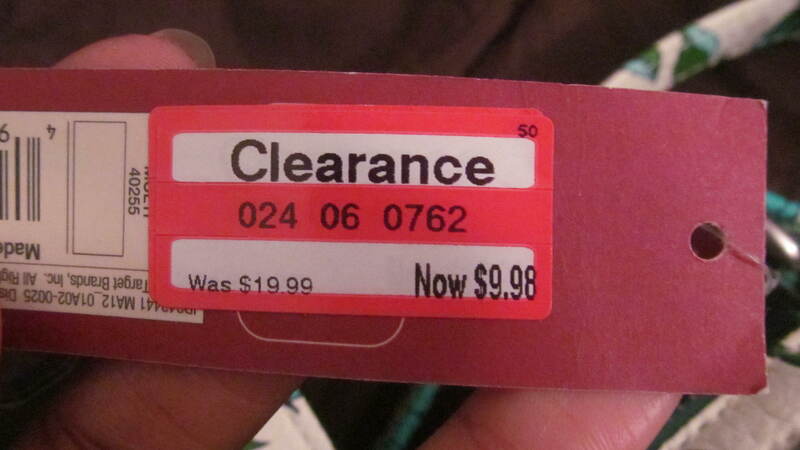 It was on sale for $ 9.98, down from the original price of $ 19.99. Previous Post Yellow Weaved Clutch with Knot Closure+ GIVEAWAY!! You wouldn’t happen to still have this would you? Hey Bethany! Thanks for stopping by! As a matter of fact, yes I do! 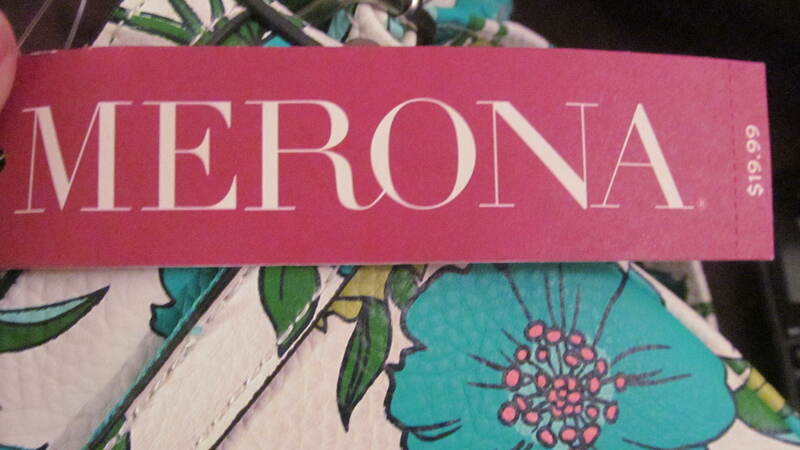 Would you be willing to sell it (or trade something for it)? I’ve had mine for a long time but it’s finally giving out on me after daily use and I don’t want to give it up. I’m thrilled. 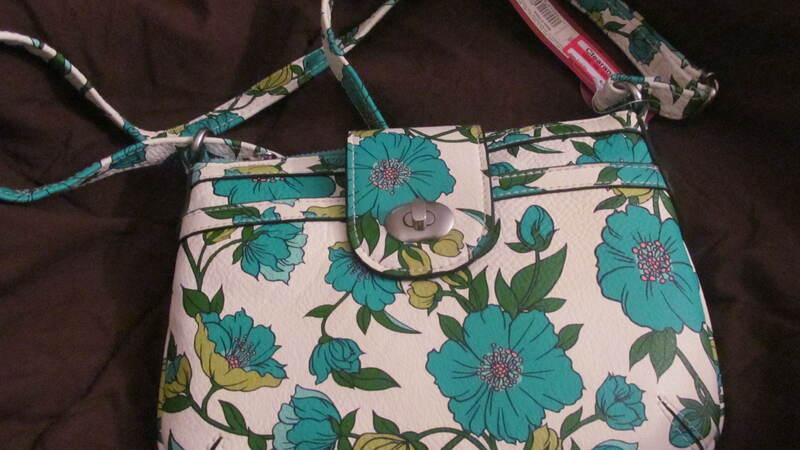 It’s like bringing my purse back from the dead.